Fabriquant Canadian CL/C datée 1942, liner V.M.C. 1942 size 7 1/4. Be very careful when collecting unit helmets. First of all, because they command such high prices, and there is so little documentation on them, the market for reproductions and fakes is something you have to watch out for. 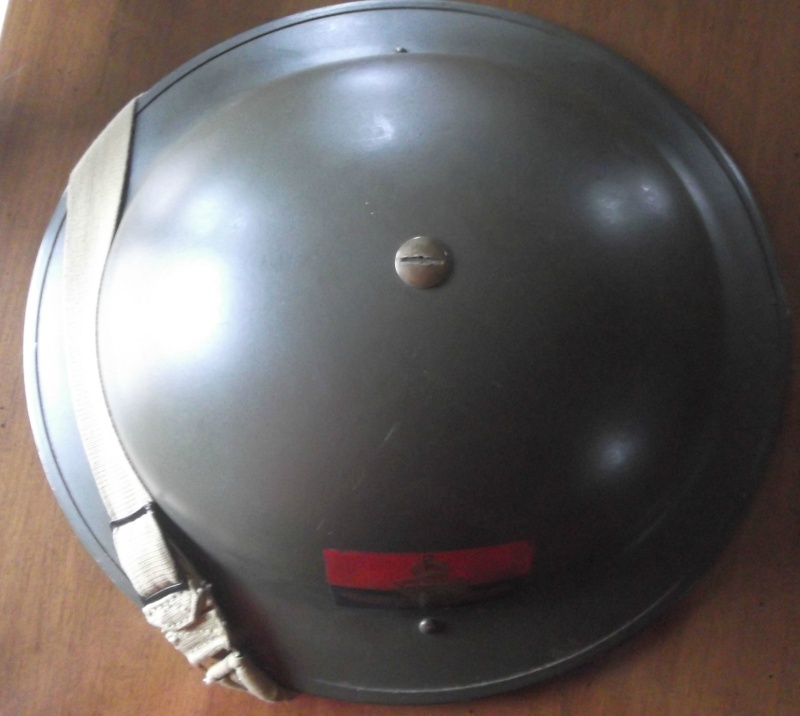 European collectors are very keen to collect unit marked helmets and with the vast majority originating from that region, so you need to be cautious. The other problem is that unit marked WWII helemts were used in Canada from the end of WWII up until the early 1960s. 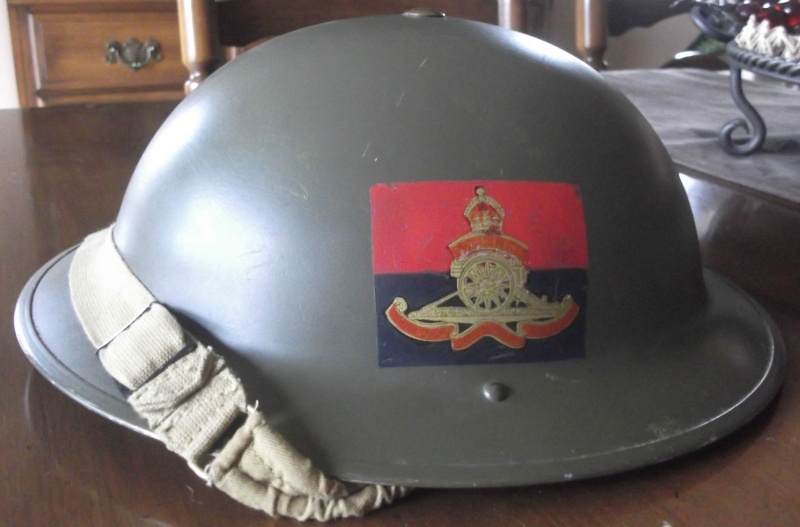 This means that Corps and Regiments used the same colour combinations that were seen in WWII and carried them through until the issue of the M1 helmet. It looks like that the RCA decal is put over older damage,and it looks rather "fresh" to me. I do not like to burst your bubble,but I don't have a good feeling by this helmet. salut, j ai surtout l impression que vous détruisez tout ce que l on présente. Ce casque est dans ma famille depuis deux génération. Ah oui je suis pas Européen , je suis canadien français . The part that I understand(and I don't speak Frennch at all) is that it's in your familie for two generations,so it has provenance. Maybe it is because of the photo flash,that it looks so shiny then. It,s also because here in Holland there are turning up helmets with these decals that are no good, the decals are ok and the helmets are ok but recently put together. It looks like someone dugup a pile of RCA decals recently. 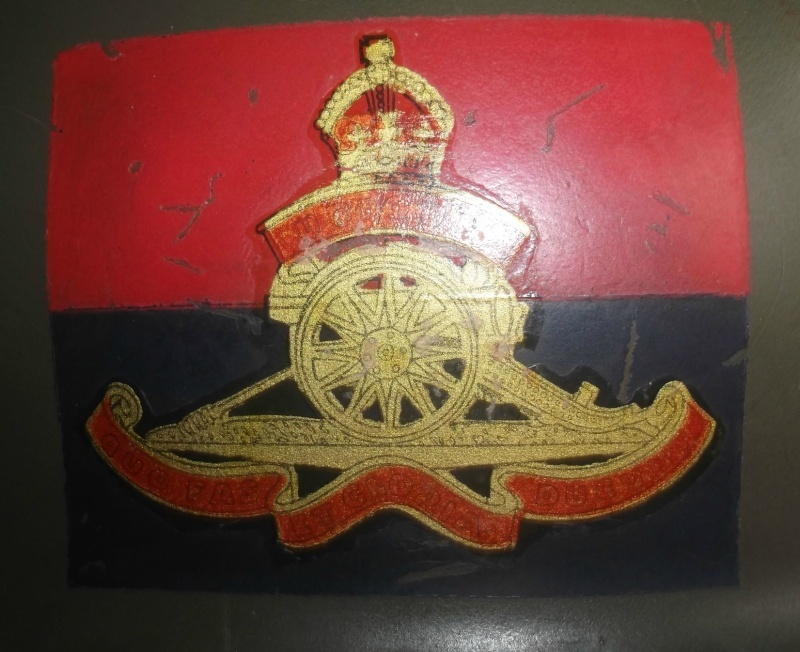 Here is one from my collection (left behind in my hometown in 1945) this one has a whole decal and not a combination of paint and decal. 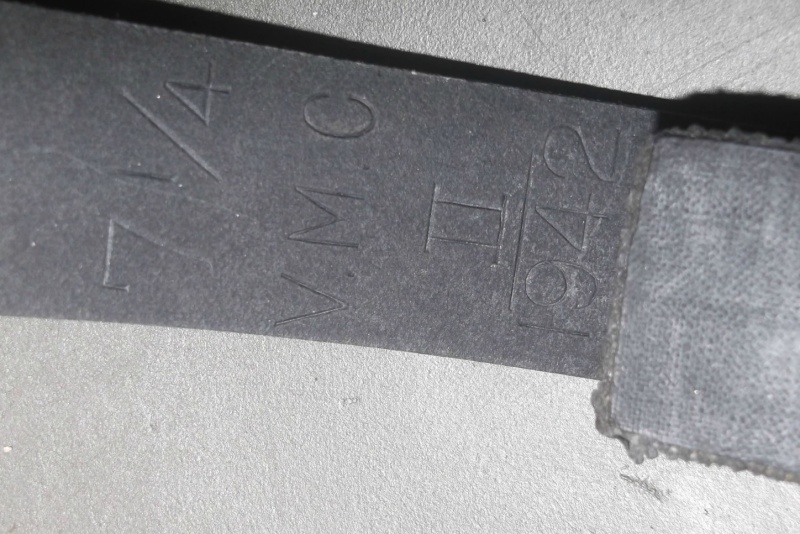 I have about 20,000 WWII photos and have never seen this combination of decal in wear in WWII. I suspect that it is postwar. I agree with Clive. 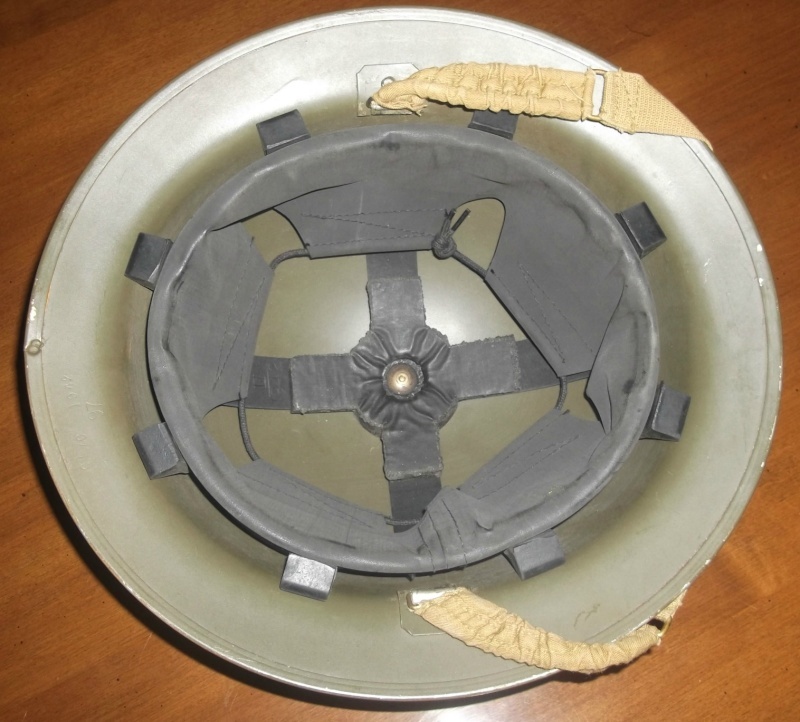 There was no unit or formation that the helmet represents. 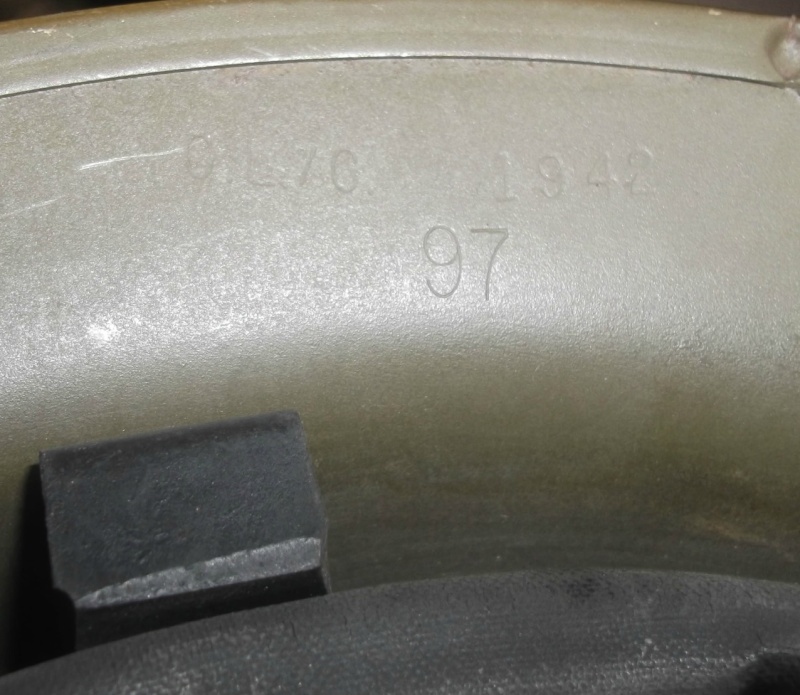 It is a generic RCA helmet, with an insignia design that was not used during the war.